cables create a majestic entrance foyer. 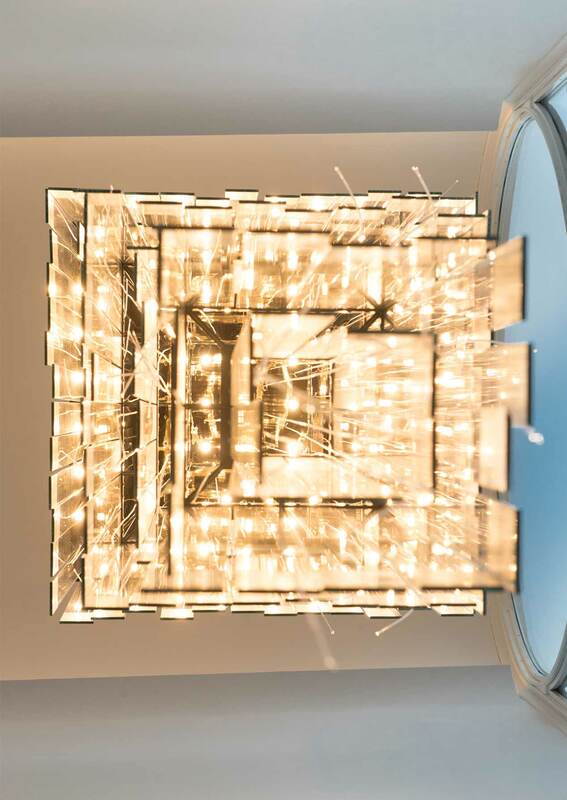 The impressive barrel-vaulted foyer in this North London home deserved something magical: a lighting fixture that would delight and excite everyone who entered. 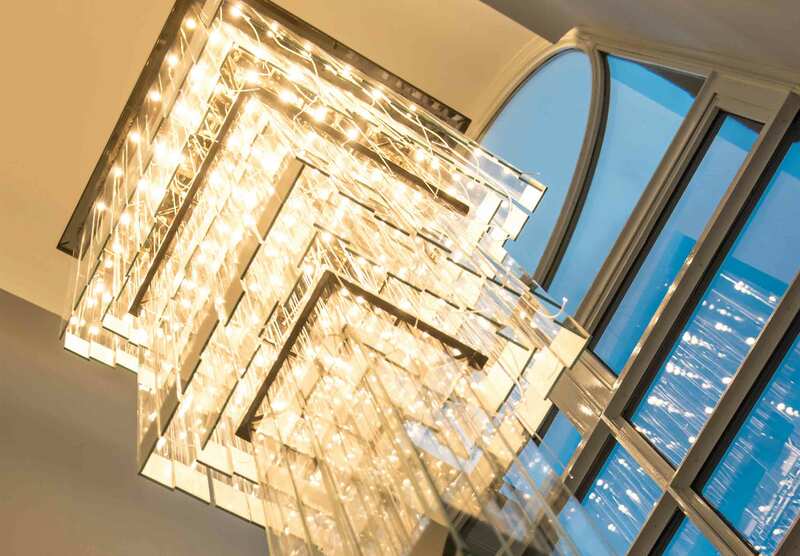 The three-tier, layered chandelier contains LED fibre-optic cables that have been “stitched” within vertical glass shapes, allowing light to travel down the entire length of the glass. Combined with LED downlights affixed to the fixture, they provide the space with a soft, welcoming atmosphere.